Advertising guru Maurice Saatchi, whose wife died of ovarian cancer, has won Government backing for his private member’s Bill calling for more innovation in treatment of the disease. When novelist Josephine Hart died two years ago, the Tory peer described her treatment as ‘medieval’. 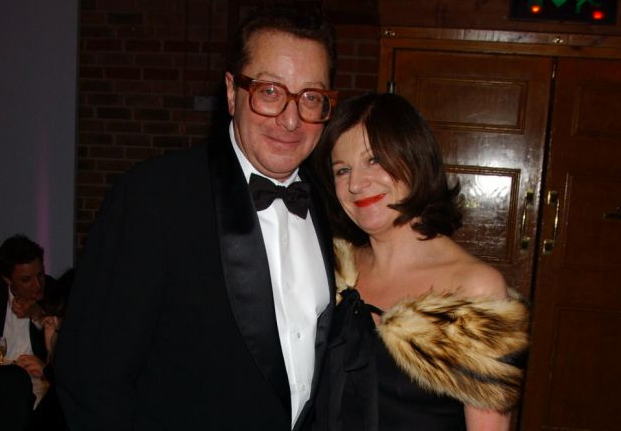 Lord Saatchi has since fought to enable doctors to use procedures other than surgery, radiotherapy and chemotherapy. He argued they are too often hamstrung by legal rules which mean they can be sued if they ‘deviate’ from standard treatments, even if they know it will do little good. The peer, founder of advertising giants Saatchi & Saatchi, sponsored the Medical Innovations Bill to reduce the threat of litigation and ‘encourage responsible innovation’. Mr Hunt announced a ‘full and open consultation’ in the New Year to understand ‘the problems [doctors] face in innovating’ and strike ‘the right balance between innovation and safeguards’. He stressed patient safety was at the heart of his proposals. ‘We do not want reckless experimentation that puts patients at risk, and we don’t want patients to be treated like mice,’ he said. Obtaining informed consent to take part in experimental treatments would remain essential, the peer stressed, and doctors would retain full legal responsibility for their decisions.